A bookmark is the standard compliment for online writers. We applaud singers, we laugh at comedians jokes, and we bookmark articles we find on the web. Bookmarks and links fuel your blogs success. What can we do to get more bookmarks? Why then do some get bookmarked while others get largely ignored? It’s not just about writing great content. You can create valuable, interesting, well-written articles that get zero bookmarks. You can also build a fantastic blog that entertains or informs your loyal readers but hardly ever gets linked to. Why would you want bookmarks? First of all a bookmark means an intention to return. That in itself is a good sign. Repeat visitors have always been very valuable to have. It’s the knock-on effects that bring greatest value, though. Repeat-visitors can become loyal, longer term readers. Loyal readers are more likely to refer others. Then, of course, there are the shared bookmarks which help your content become viral, driving more traffic and helping to attract links. The sorts of articles that get bookmarked get more links. They are exactly the sorts of articles that will get maximum referrals from other bloggers because they know their readers will want to know about them too. This builds links, search engine traffic and increased positive brand awareness. I guess a better question might be “why would you not want bookmarks”! 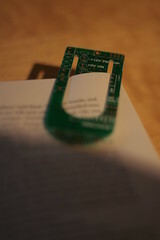 If bookmarks are so great, for both readers and authors, why are we not bookmarking all the time? The difference happens when you take the next step and create something not just worthwhile but “bookmarkable”. What goes through your readers mind when they bookmark an article? “No time to read this now but it looks interesting” – This is the ultimate skimmer. They give your article a quick look and if it passes the smell test then you get a bookmark. It often turns out that they never do come back. “I will definitely come back and read again this later” – Unlike the above, this person does intend to come back and probably even quickly read the article one time but wants to give it more concentration. “This will be a handy reference” – Cooks bookmark recipes. As a programmer I used to have lots of cheat sheets, pieces of code, etc bookmarked. As a writer for a long while I had a swipe-file of useful headlines and such. “These instructions will be useful” – From “how to fix the plumbing” to “10 things to do in case of earthquake”, it is good to keep instructions around. “My friends will love this” – Social bookmarkers don’t just bookmark for their own use. The more they share the more benefits to you! “LOL!” – Part of the reason for Dilbert’s popularity I am sure is the amount of times strips were cut out and pinned to cubicle walls. Perhaps bookmarking is the online version? “I need to keep checking this” – Your reference doesn’t have to be a one-time thing. Think of constantly updated articles with updates as the story progresses, event calendars, world-time planners, or tools like stock tickers. “While I don’t need this right now it might come in handy later” – Some readers are hoarders, they have bookmarked lots of articles Sometimes you bookmark just in case. “Nice content, I will reward you with a bookmark!” – It’s true, sometimes people will Digg, Stumble or Delicious out of gratitude or as a compliment. “Well you did ask nicely” – If your good friend asks for a Digg, and you like their article, you give them a vote, right? What are the properties of bookmarkable content? It’s got to have obvious value – At a glance the reader has to be able to see what is in it for them. No benefit, no bookmark. It’s got to be remarkable – If what they are looking at seems old news then why bookmark? It’s got to be worth a second look – Sometimes you can get a lot out of an article but never return, is it still going to be valuable on a second or third look? It’s got to need a second look – Some of the best resources can’t be consumed all in one go. Is your article a snack or a banquet? It’s got to be timeless or constantly updated – If your article is dated after only a few days then it will not gain maximum traction, on the other hand if it is timeless or always up to date then people will come back again and again. It’s got to be comprehensive – Don’t just nibble away at the corner of a topic, give your reader your all. It’s got to be specific – While I said it has to be comprehensive, don’t take that to mean you should try to cram everything imaginable into it. Stay on the topic, deliver the promise you make in the headline. Solve one problem. Focus on one clear benefit. So we know the kind of thing we are looking for, how exactly do we make sure we get more bookmarks? How do you get more bookmarks? Give people the tools – Widgets and plugins exist to make it easy for people to bookmark. Use them. Make it easy as one click – Don’t make people have to register with unusual services or hunt around for your links. In general the first person to bookmark has the hard work so get someone to do the initial submission first. Ask for bookmarks from the reader – Sometimes you need to prompt readers to take action, but be polite. Tell your friends – To start getting traction ask your friends for some help. Inform “sneezers” – Politely inform people you know who like to spread links. Point out the benefits simply, and do not demand. Don’t spam. A good place to share your link is Twitter, while not as direct it is less annoying than unsolicited email. So you have put together what you think is a great resource and told your friends. Everything should be golden, right? Right? Do not steal – This is a case where copying is not flattery, it is theft. Don’t even try to get bookmarks to copied material. Do not hype – Your headline makes a promise that your content has to deliver. Over hyping will just set you up for a fail or come across as snake oil. Do not rush – Spend time crafting your article. The better the finished product the more benefit you will get. Do not spam – The temptation will be to try to cram every article into Digg, and tell everyone in the world about each submission – woah, don’t get carried away, pick your battles. Do not over monetize – Once you get some links and traffic you might want to grab some cash by putting ads all around your content. In fact this will make you less likely to receive the bookmarks you so need as people will think they are being scammed for your financial benefit. How can you increase your chances of being bookmarked? Optimize headlines – The first thing your reader will see will normally be the headline. Make it scream out to be clicked. Optimize your introduction – Your headline sells the click but the intro sells the article. Create a killer first sentence. Then follow it up with another. Bookmarks live or die based on a snap judgment so make sure the introduction, and therefore article, begs to be read. Optimize URLs/Slug – If your article is to be shared around via email, forums and IM, then you need a simple URL. In most CMS you can specify a short and snappy URL, filename or in WordPress the “slug”. Optimize appearance – Pictures are worth many words but they also break up the wall of text, plus help the reader make that snap “yes” decision. Great pics can be found on Flickr. Optimize phrasing and sentence structure – Is your article skimmable? Do you have lots of complicated jargon? Do you use long meandering sentences? Simplify to clarify! Make it a habit to think like a reader! Get into the bookmarking mindset. Take notice when and why you bookmark. Notice which articles get popular on Del.icio.us and Digg.